With millions of conversations happening online every day, how do you efficiently monitor and analyze what consumers are saying about your brand? OneSpace delivers the most accurate opinion mining and sentiment analysis results by enhancing automation and AI with real human judgement. OneSpace’s scalable opinion mining solutions are trusted by some of the world’s leading brands, from software companies to marketing and PR agencies. analyzed 500,000 comments in one month. analyzed 19,994 comments in one day. Make strategic decisions based on both quantitative and qualitative data — all classified by real people. 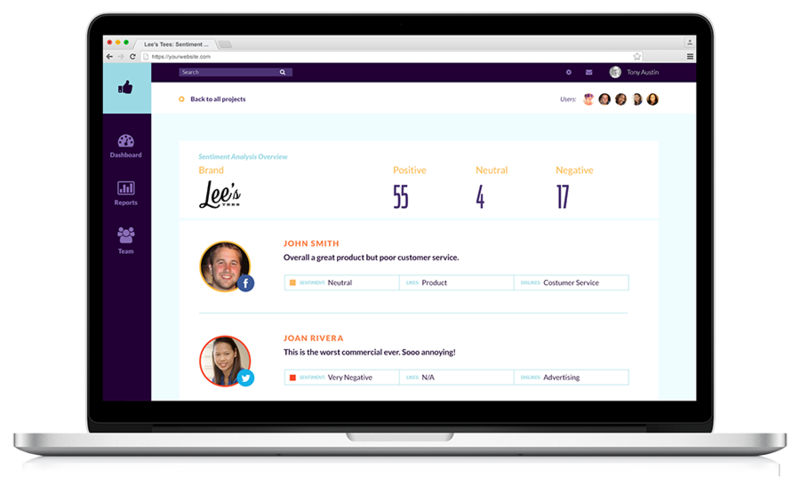 Unlike automated sentiment analysis methods, human-curated teams understand context and tone and can provide more in-depth analysis. Enhance: Test and train your sentiment algorithms more efficiently. Learn: Get deeper, more actionable data about your brand or product. Research: Quickly understand consumer attitudes and trends. Respond: Instantly react to changing opinions and demands. OneSpace is a workflow automation platform with a built-in network of on-demand talent. 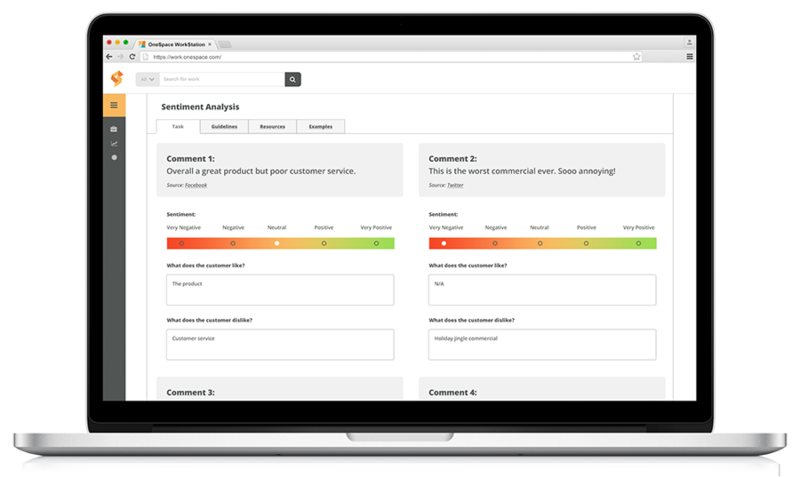 Every subscription comes with a robust suite of features designed to help you combine AI and human insight to deliver the most accurate sentiment analysis results. 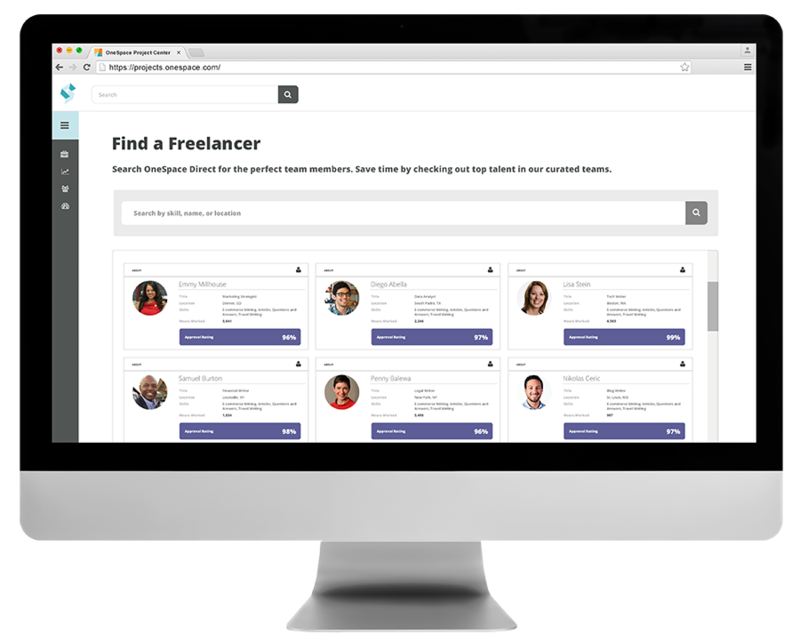 Onboard your existing talent and amplify as needed with instant access to our hand-curated network of freelancers. Post custom assignments to a virtual workspace that your teams can use to analyze content anywhere, anytime. Collect sentiment data at scale and optimize cost, velocity and quality using our point-and-click workflow automation tools. 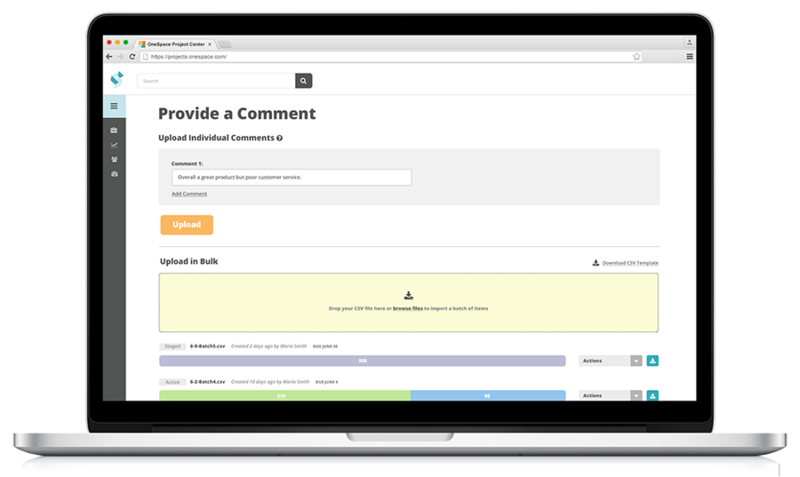 Start collecting sentiment data in minutes using OneSpace’s customizable workflow templates. Each template includes automated quality controls and instructions based on industry best practices. Use a five-point rating scale. Send each piece of content to 2-3 people for analysis. Aggregate and analyze data to recognize patterns and trends. Provide a piece of content for analysis, such as a comment, image or video. A trained QA specialist reviews the content, rates it according to the designated scale, and answers any follow-up questions. Send the same item to multiple freelancers for improved accuracy. A trusted QA reviewer or one of your internal team members reviews the analysis for accuracy and completeness. Enable our spot-checking feature to limit the number of items sent to review. Download the completed sentiment analysis file, or automatically transfer results to your database via our API. Gain instant access to the best talent OneSpace Direct has to offer with our hand-curated teams of freelancers. These freelancers are heavily vetted and have a wide variety of backgrounds and interests.